Run through a wooded path with the possibility of spotting deer and other local wildlife. Kids area with face painting, bouncy house, and photos with Spider-Man and Iron Man. Amazing scenery to help out our youth development program where kids learn leadership, discipline, community, honor, courage, and commitment. We help guide kids and give them a sense of accomplishment as well as skills they can take with them wherever they go. All runners who pre-pay will recieve a t-shirt. Please email shirt size to douglasvilleseacadet@gmail.com and indicate name with it please. Please join us for the 66th Annual ARMAC Military Appreciation Luncheon to honor our men and women in uniform. The event takes place on Tuesday, November 13, 2018 from 11:00AM to 1:45 PM at Cobb Calleria Centre, Two Galleria Parkway, Atlanta, GA, 30339. Family Weekend Presented by JLC AirShow Management returns for the 7th consecutive year October 13-14 at Rome’s Russell Regional Airport. Featuring North America’s Best World Class Performers. USAF F-22 Raptor and USAF A-10 Thunderbolt and 11 Demo Teams. GO TO wingsovernorthgeorgia.com FOR MORE INFORMATION! There’s nothing quite like a party with sailors! The 243rd Navy Birthday Celebration is the premier event on the U.S. Navy’s calendar — come display your patriotism as we celebrate with and honor those who sacrifice and do so much for us. This year’s speaker is Rear Admiral Alan J. Reyes, Commander, Navy Expeditionary Logistics Support Group. Join us at the DoubleTree by Hilton Atlanta-Marietta on Oct. 13 for a night of food, dancing and fun. Make sure you have a safe and quick trip home by staying at the event’s official hotel, offering a special Navy Birthday Celebration rate of room rate of $132.00. Don’t miss the deadline to book, which is October 5, 2018. Tickets for the ball are available until sold out. Don’t wait and miss out. Buy your tickets by clicking “Home” on the navigation bar above. 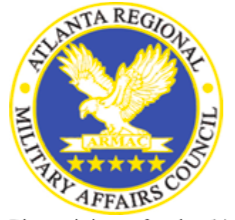 [ATLnavyleague.org]. Hundreds of Vietnam War veterans from Cobb and surrounding counties will be shown recognition Saturday that they and many of their peers did not receive upon returning home decades ago. The Cobb County Board of Commissioners is hosting a Certificate of Honor and Lapel Pin Ceremony at 2 p.m. Saturday at the Cobb Civic Center. About 750 veterans have RSVP’ed for the event, though organizers are expecting about 550 to 600 to make it to Saturday’s ceremony, according to Brian Zeringue, director of the public information division of the Georgia Department of Veterans Service. The public is also invited to attend the event to help honor the veterans in attendance. Attendees will order from the menu and pay individually. 20% of the menu is non seafood. Spouses/guests invited. Please join us for the 65th Annual ARMAC Military Appreciation Luncheon to honor our men and women in uniform. 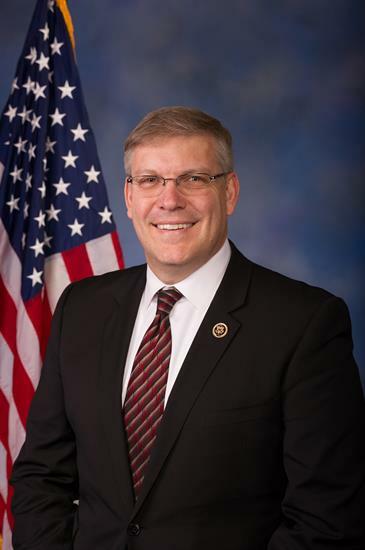 Congressman Barry Loudermilk, a Constitutional Conservative, represents Georgia's 11th Congressional District, which includes all of Bartow and Cherokee counties as well as portions of Cobb and Fulton Counties. In the 115th Congress, Rep. Loudermilk serves as a member of three important U.S. House Committees: Financial Services, House Administration, and Space, Science and Technology. Barry also serves on the steering committee for the Republican Study Committee (RSC), conservative caucus of the House Republicans. In addition to hearing from Congressman Loudermilk, a highlight of this event is the presentation of the prestigious USO Patriot of the Year award. To reserve your seat at a Navy League table, call Don Giles at 770-509-3772 or email dongiles01@comcast.net. For sponsorship information, please contact Allison Branch at abranch@cobbchamber.org. For tickets, please email freedomball@georgiaveteransday.org or visit the PX Store to purchase. Tickets are: $75.00 each or you can purchase a table of 10 for $750.00..
An estimated 500 guests will gather to pay special tribute to our Veterans and to the men and women who are serving our Nation today. Guests will include leaders and representatives from all Veterans Service Organizations, Active Duty military members, corporate sponsors, and members of corporate military groups. There are no paper tickets issued for this event, but you must buy tickets in advance. You must check in with the registration desk and identify your name or the name of organization your table was purchased under. You will then be advised what table you are assigned to. If attending with one of our sponsors, please ensure that they have forwarded a list of attendees who are using their seats to ensure that you are seated at the correct table. We recommend that you park at the Georgia Aquarium and utilize their 1,600 parking spaces. Once in the parking garage, follow the signs to the Ball Entrance to enter directly to our event. The City of Marietta and the Kiwanis Club of Marietta invite the public to honor our community’s veterans with a parade and ceremony on the Marietta Square, Saturday, November 11, 2017. The 13th Annual Veterans Day Parade will meet at Roswell Street Baptist Church at 0915. RSBC is located at 774 Roswell Street in Marietta, Georgia 30060. Patriot Guard Riders will assist in lining up in parade order. The Parade will begin promptly at 1045. The Parade route will go straight west down Roswell Street to the Marietta Square, turn right on West Park Square, turn right on North Park Square, then proceed straight to what becomes Lawrence Street. We encourage people to come to the Marietta Square to hear our Grand Marshal and participate in the Veterans Day Ceremony. 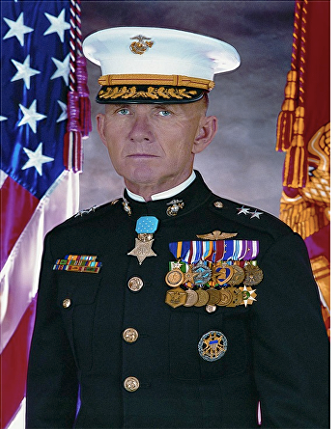 Grand Marshal for the 2017 Veterans Day Parade is Colonel Mike Varicak, United States Marine Corps. Col. Varicak presently serves as the Emergent Sourcing Chief on the Joint Staff and is responsible for the emergent sourcing of military forces to combatant commanders worldwide. The Color Guard will be provided by the 4th Reconnaissance Battalion, United States Marine Corps. A 21-Gun Salute and “Taps” will be performed by the Cobb County Sheriff’s Department. along with NOSC Atlanta and NRD Atlanta in this gala, Navy traditional celebration. A block of rooms are offered to attendees at a special rate of $90.00 until gone. Call the Marriott NW at (770) 952-7900 if interested. For information: Contact Don Giles, (e) dongiles01@comcast.net or (h) 770-509-3772.